Navy PvP Texture Pack was made and submitted by "File13". He's a pretty new pack maker with around 300 Subscribers on YouTube. The Navy PvP Texture Pack comes with very smooth and clear PvP Textures. They are mostly based on 128x128 Resolution. All in all in my opinion the Navy PvP Texture Pack just looks very good cause of it's blue color themed textures and it's overall smoothness. The Navy PvP Texture Pack seems to support Minecraft 1.8.X and 1.7.X versions only. 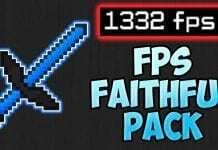 If you want to use it with Minecraft 1.12 or 1.11 you'll have to convert this PvP Texture Pack. We strongly recommend always using PvP Texture Packs in combination with with Optifine HD to ensure you'll get the highest FPS-rate possible for your Set-Up. 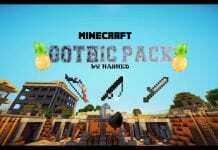 If you like this Pack you should also check out some of the other blue themed packs on minecraft-resourcepacks.com, such as Navy Blue v2 by Celestial & Crayola, Frozen Core or Deep Sea v2. Most of them are also meant to be used with Minecraft 1.8 and 1.7. 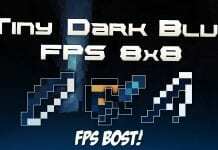 How to install Navy PvP Texture Pack 1.12.2-1.7? If you don't know how to install the Navy Blue PvP Texture Pack just look below, we provide you a short tutorial. This installation guide should work with all versions of the game. 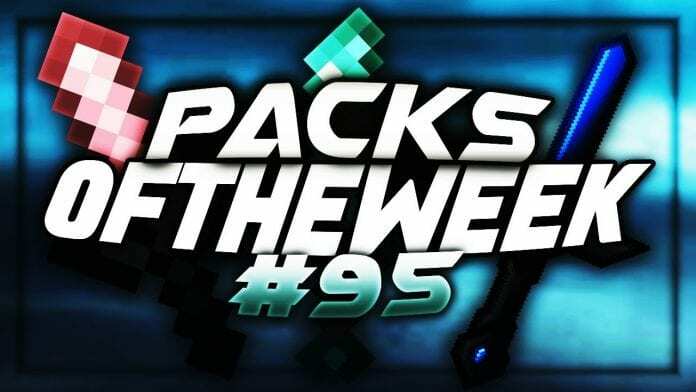 Always be sure to download PvP Texture Packs from the official download link! Simple install below is recommended! 1. Make sure you have installed Optifine HD. 2. Download the Navy PvP Texture Pack from the official links.